Australia’s digital future – are we doi ng we enough? launchgroup.com.au > Blog > News > Australia’s digital future – are we doi ng we enough? 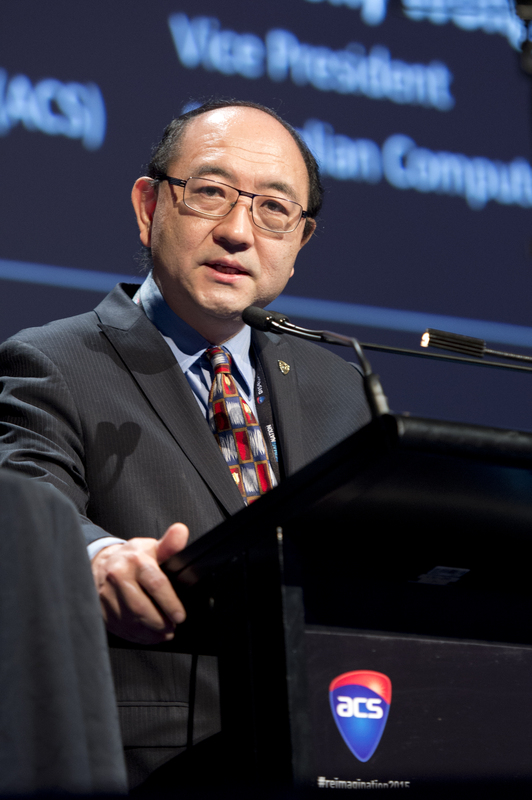 § ICT is a key driver of Australia’s economic future. Currently a digital boom is occurring with 40,000 ICT jobs created in just the last two years, and ICT services exports up 12% to $2.8b. § New economic modelling shows that adoption of digital technologies has lifted Australia’s GDP by 6.6% over the previous decade – with each Australian being $4,663 a year better off (in 2016 dollars). § However, 81,000 new ICT professionals are needed by 2022 to fuel future technology-led growth. Without skilled ICT labour our nation will stagnate. § Diversity is still an issue – women represent only 28% of the ICT workforce (compared to 44% across all professional industries) and older workers (55+) only represent 12% of Australia’s ICT workforce. § LinkedIn data reveals technical skills are in high demand – how will Australia meet this need to reap the advantages of a digital future? Sydney, Australia, Wednesday, 24 May 2017 – The ACS, the professional association for Australia’s ICT sector, today launched its 2017 “Australia’s Digital Pulse” Report – revealing that a ‘digital boom’ is underway with 40,000 technology jobs created over just the last two years (2015-16). Prepared by Deloitte Access Economics, the report shows this strong growth in the ICT workforce is expected to continue, with an additional 81,000 jobs needed by 2022 to fuel future technology-led growth. Meeting this need will be a critical priority for Australia. LinkedIn Director of Public Policy for Asia Pacific, Nick O’Donnell, said Australia’s skills shift is accelerating and expanding across every industry. “We are seeing significant hiring of tech talent by non-tech companies. Half of the top 20 industries hiring ICT workers in 2016 were non-tech, the most active industries being financial services, which jumped from twelfth position in 2015 to up to fourth in 2016. “LinkedIn’s data also shows that the top skills demanded by employers hiring new ICT workers includes a balance of technical skills and broader business skills. Business skills such as Relationship Management, Business Strategy and Strategic Planning in combination with technical skills are highly sought after to drive digitisation of business processes,” Mr O’Donnell said. The report further highlights a ‘to-do’ list for government that includes multiplying digital precincts, prioritising cyber, transitioning education and getting more people to study ICT, supporting Aussie start-ups, the next steps for the NBN and wireless technology, and focusing on efforts towards open data, digitising government, and copyright reform. Australia’s Digital Pulse is a unique and comprehensive analysis of the ICT sector and the digital economy for Australia. Australia’s Digital Pulse 2017 will be launched during CeBIT, on Wednesday 24 May at 5:00pm-7:00pm. Speakers will include the Hon Angus Taylor MP Assistant Minister for Cities and Digital Transformation (by video), John O’Mahony Partner Deloitte Access Economics, Nick O’Donnell Director of Public Policy and Government Affairs, LinkedIn Australia, New Zealand and Southeast Asia, Anthony Wong ACS President, and Michelle Price Chief Operations Officer Australian Cyber Security Growth Network. The following statistics are presented according to subject matter areas. The economic contribution to Australia of the digitally-enabled economy is on track to meet the forecast $139b growth target by 2020. § New economic modelling shows that adoption of digital technologies has lifted Australia’s GDP by 6.6% over the previous decade – each Australian being $4,663 a year better off (in 2016 dollars). § The economic contribution of the digital-enabled economy in Australia is forecast to increase to $139 billion by 2020, representing 7.3% of Australia’s GDP (DAE 2016a). Nearly 90% of this contribution is expected to come from the use of internet and digital technologies outside of the Information, Media and Telecommunications industry. § Trade in ICT continues to grow, with Australia’s ICT services exports increasing by 12% to $2.8 billion in 2015-16. § The ICT input share of Australia’s goods exports increased from 4% in 2013 to 7% in 2016 – reflecting the greater uptake of new technologies across key industries of economic importance in Australia, such as agriculture and manufacturing. § The average cost of a cyber crime attack to an Australian business is around $419,000. § Economic modelling suggests that greater investment in cyber security by Australian businesses could result in an uplift of 5.5% in business investment, an increase in wages by 2%, and an additional 60,000 people employed by 2030. § 81,000 new ICT jobs needed by 2022 to fuel future technology-led growth. § Project Management; Customer Service; Business Analysis; Marketing; Strategy; Social Media; Business Development; Change Management; Business Strategy; Business Process Improvement. § Women continue to represent only 28% of the ICT workforce (compared to 44% across all professional industries). § ICT Management and Operations (2.4% average annual growth between 2016-22). § ICT Technical and Professional (1.9% average annual growth between 2016-22). § 2016 LinkedIn data shows the top 3 (out of 10) ‘in-demand’ ICT occupations with the most job advertisements were roles that connect technical ICT functions to broader business requirements. These include: project Manager; Business Analyst; and Business Development Manager. § ICT workers with specific technical skills are still in high demand – NET developer, Software Engineer, Solution Architect, Java Developer, Front End Developer. 9. Employee Training & Development (number 9). § Domestic undergraduate enrolments have risen from around 19,000 at the start of this decade to 25,700 in 2015. § Domestic undergraduate completions of ICT degrees increasing from around 3,000 to almost 4,000 over the same period. § Postgraduate enrolments and completions by domestic students have also increased marginally, but these also continue to remain below the peaks seen in the early 2000s. § The qualifications demanded of ICT workers are becoming increasingly broadened, beyond ICT-specific fields of study.